FOR ALL BABYLOCK SOLARIS & DESTINY OWNERS, AND BROTHER LUMINAIRE & DREAM MACHINE OWNERS - REGARDLESS OF WHERE YOU PURCHASED YOUR MACHINE! 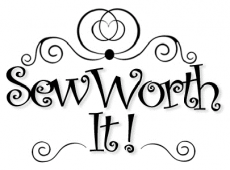 FOR THE FIRST TIME EVER...Sew Worth It is hosting a 2-Day Bootcamp followed by a 1-Day practical project for YOUR Baby Lock and Brother Top of the Line machines! This 3-Day event is NOT TO BE MISSED! SWI prides itself on providing our customers with the BEST education and support available. Our customers have come to know and love our extensive schedule of Mastery Classes that are FREE to them for as long as they own their machine - This 2-Day Bootcamp will provide even MORE intense training and knowledge to further elevate your confidence and abilities to utilize your machine! FOR THE FIRST TIME EVER - SWI is hosting a Bootcamp open to ALL machine owners. If you've purchased your machine elsewhere and wished for more training and more classes - DON'T MISS THIS! Join SWI for 2 days of intense training on YOUR top of the line machine, and then apply your newfound skills on Day 3 as we make a STUNNING tablerunner! This event is for Baby Lock Solaris and Destiny owners and Brother Luminaire and Dream Machine owners ONLY - you did NOT have to purchase your machine from SWI to attend this Bootcamp! You will be required to bring your own machine - we will have a Valet Machine Drop-off on Wednesday, March 6th, from 1pm - 6pm. CLICK HERE TO VIEW SUPPLY LIST AND DROP-OFF CHECKLIST! SWI will be providing a "Bootcamp Binder" loaded with handouts, places to keep your stitch-out samples, and take notes! If the Bootcamp was included in your machine package and you would like to attend the 3rd day practical project class, the Registration Fee is $95. For more information call SWI at (941) 924-5600. If you purchased a Solaris, Luminaire, Destiny, or Dream Machine from SWI and this event was included in your package, there is no charge for this event, but if you would like to attend the 3rd day, the fee is $95. Registration for all others is $295 for all 3 days! You will be contacted once your registration form is received by SWI. $50 Cancellation fee BEFORE February 8, 2019 - After this date, there will be no refunds for cancellations. *PLEASE NOTE: ONLY FILL OUT THIS FORM ONCE. SWI IS EMAILED ONCE YOUR FORM IS SUBMITTED AND WE WILL CONTACT YOU WITHIN 24 HOURS TO CONFIRM WE RECIEVED YOUR REGISTRATION. Would you like to sit with someone you know who is also attending the event?